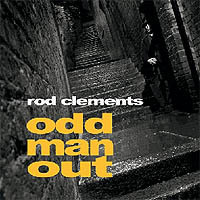 From the beginning of Lindisfarne to his current solo album ‘Odd Man Out’, the career of Rod Clements reads like a who’s who of contemporary British folk roots. After three decades in the business spanning over thirty albums and several chart hits, Rod Clements is… "a man emerging from the Lindisfarne years and carving his own unique furrow in inimitable style" (BBC Radio Scotland). "a cult artist in the making."